I guess I’m on a web marketing kick. My last blog told you about web marketing and how to optimize a pr clients site for Google. Well, I want to now tell you how publicity can be part of your web marketing campaign. First you need to realize that web marketing is not a once-in-a-while job. 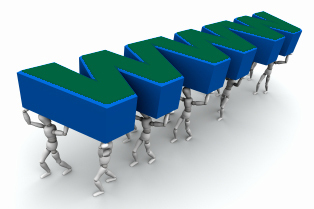 It requires an on-going effort with savvy web people to make it all work properly. If you have a PR Client that is asking to get their web site ranked higher, such as on page one of Google, you better make sure you fully understand web marketing. Look at the definition of web marketing in wikipedia. Web marketing has become a major career that an association, webmarketing association, was formed in 1997. Visit the site, it has some good information. A Web Marketing campaign can consist of: SEO (Search Engine Optimization), SEM (Search Engine Marketing), banner ads, email marketing, among a lot of other elements. That brings me to publicity. Finally got there! Press Releases written properly can help a pr clients web site gain higher page ranking. But it is how the press release is written and optimized. Yes, even a press release needs to be optimized. Then the distribution channels you use are also critical. Just sending it to a free distribution service may not get you full exposure on Google Alert or Yahoo News. Even local pr clients who want local publicity, this can be an excellent marketing tool. Another publicity effort should be social networks. Using sites like Facebook, or MySpace is good, but you need to make sure the podcast, or video has something solid to tell. It cannot just be an ad campaign. Places to test market would be on YouTube. Writing articles for Internet distribution is another great way to incorporate publicity into web marketing. There are many other ways to make a publicity campaign more effective when you use the power of web marketing. Need help? Call George Carson for a free one hour consultation. He can be reached at: 949-477-9400. Search Engine Marketing. Use it with your PR Marketing. This is another “Publicity Is Everywhere” series. Why is search engine marketing (SEM) so popular? Because without it, a pr clients web site cannot compete with all the other Internet eCommerce web sites. Whether you have a traditional brick and mortar store and a web site presence, pr clients need to implement a search engine marketing effort that is part of the overall pr marketing strategy campaign. As I have said many times, “publicity is everywhere”. This includes the web. And it doesn’t matter if you are doing B2B marketing or consumer direct marketing, SEM can improve your web site traffic. Although many companies try to do SEM in-house, it cannot be as productive as those companies who are experts in Search Engine Optimization. SEM is a full time position and requires dedication that continually researches the competition, keywords, and source codes to keep a web site ahead of the competition. The New York Times defines SEM “as the practice of buying paid search listings with the goal of obtaining better free search listings”. In 2003, a non-profit organization was formed. It is called Search Engine Marketing Professional Organization (SEMPO). The purpose of this organization is to promote search engine marketing and provide educational resources to members and consumers. Some of the SEM tactics are paid placement and paid inclusion. Both are acceptable forms of getting a pr clients web site ranked high and listed on Yahoo and Google. But other methods should also be included. These are social media, blog sites and a public relations program. The later are more affordable than paid rankings and will add to the branding of any pr clients marketing strategies. Review some of the other tips and articles I have written about seo, keywords, and optimization to better understand the complexity of developing a solid SEM program. If you are a pr client that wants to jump ahead with a proven pr marketing strategy campaign, then call Carson Marketing Inc. Ask for George Carson. He will show you how to get noticed and build traffic to your web site. Comments Off on Search Engine Marketing. Use it with your PR Marketing.